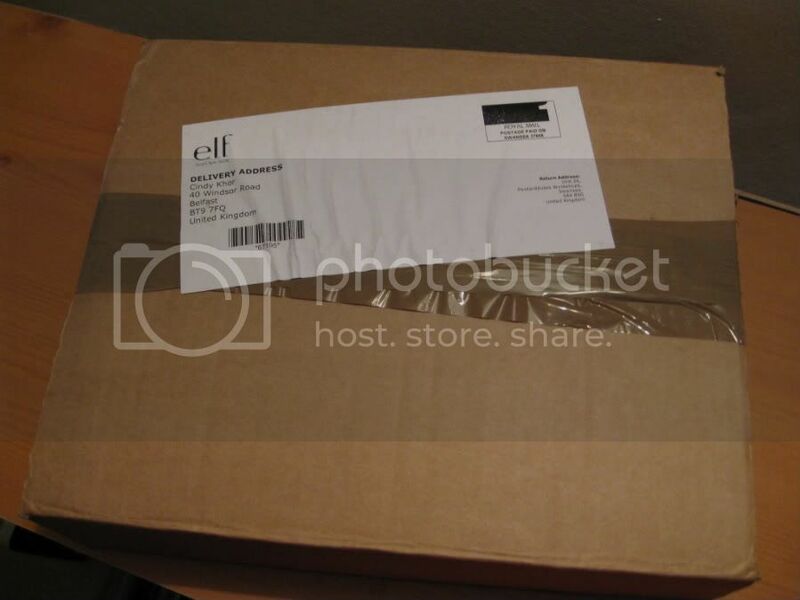 Ordered some products off ELF which are super cheap and which I'd heard many good reviews whether its about their products or their delivery. And of course, I just want to jump on the bandwagon with everyone else, so off I went to click click click on their items. Indeed, I ordered on Saturday night and my package came on Tuesday, which totally amazes me because I wasn't totally expecting that (FYI I ordered stuff from The Body Shop and I still haven't receive my things yet and its almost about 1 1/2 weeks). I am so so happy to receive this parcel. Been craning my neck for the shortest time. I am pleasantly surprise of how all my items are placed neatly and securely with bubble wraps on top of them. 1st class delivery service I would give them. And umm... As you can see, I had ordered like 14 products which only cost me £33. A close up of what I'd bought. 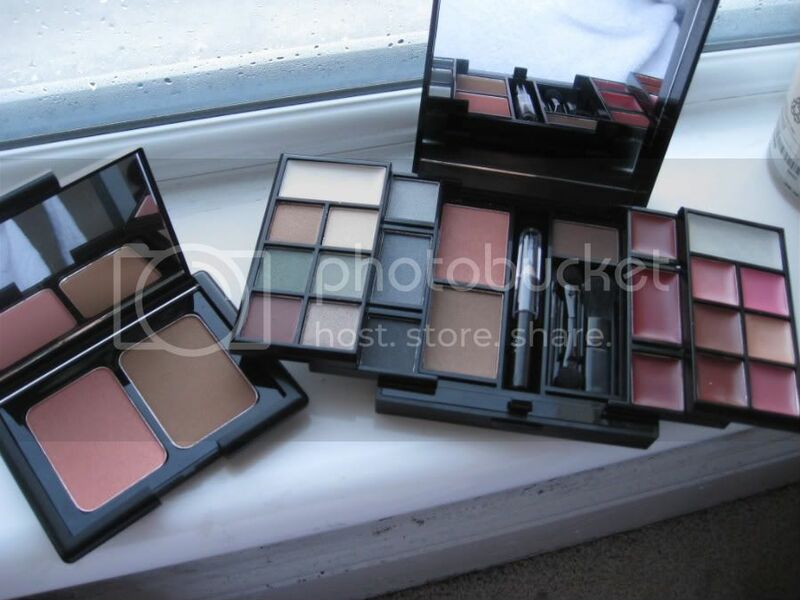 From bottom: Studio line (£3.00): Blush Brush, Angled Foundation Brush, Complexion Brush, Powder Brush. 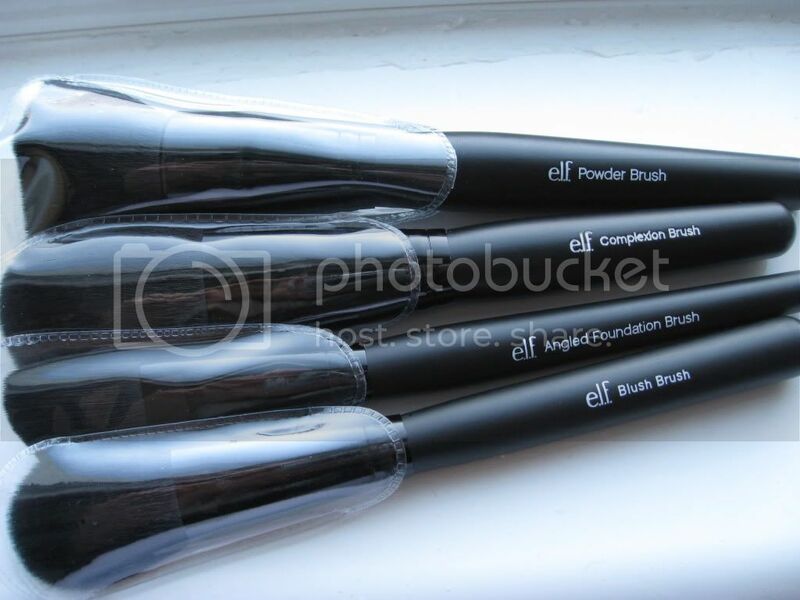 From the bottom: Normal line (£1.50) : Eyeshadow brush, blending brush, Studio line: Eyeshadow "C" Brush. 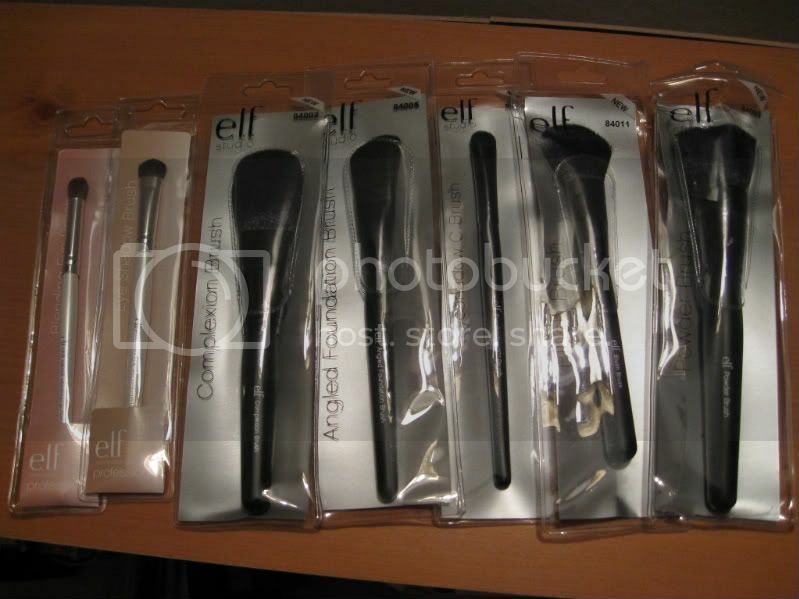 And let me tell you this, all of the brushes mentioned are so so soft.. Makes me wanna go **Ooooo Aaaaa**. Just can't stop touching them and for the price you are paying, its like totally worth it. 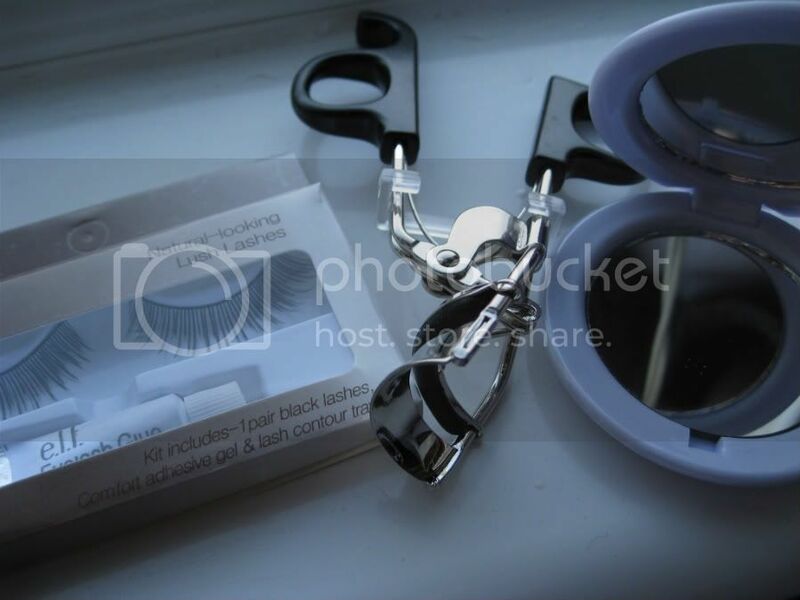 From left: Falsies (haha, 1st time owning a false eyelash, like very dramatic like that, but I only dare to buy the normal one), Eyelash Curler (super nice to use), and Travel Compact Mirror. By the way, each of them cost me only £1.50. 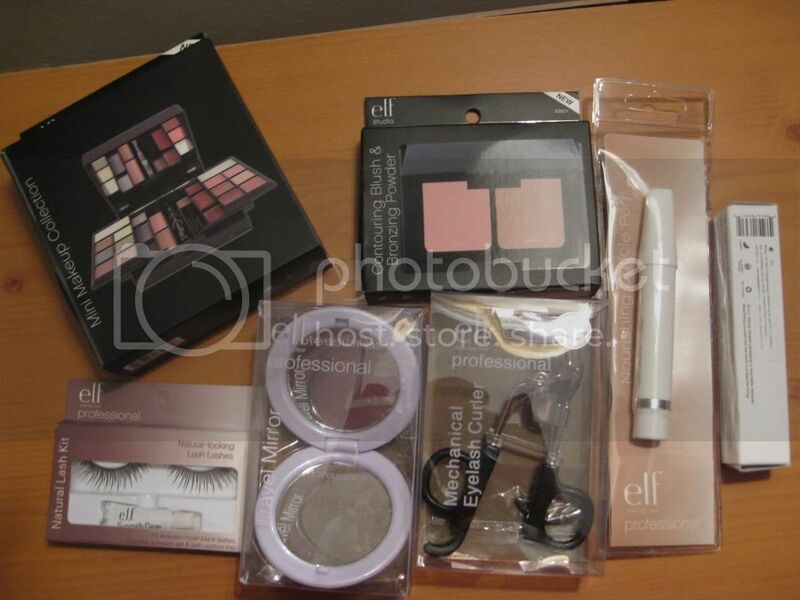 Where can get such cheap make up stuff one?? 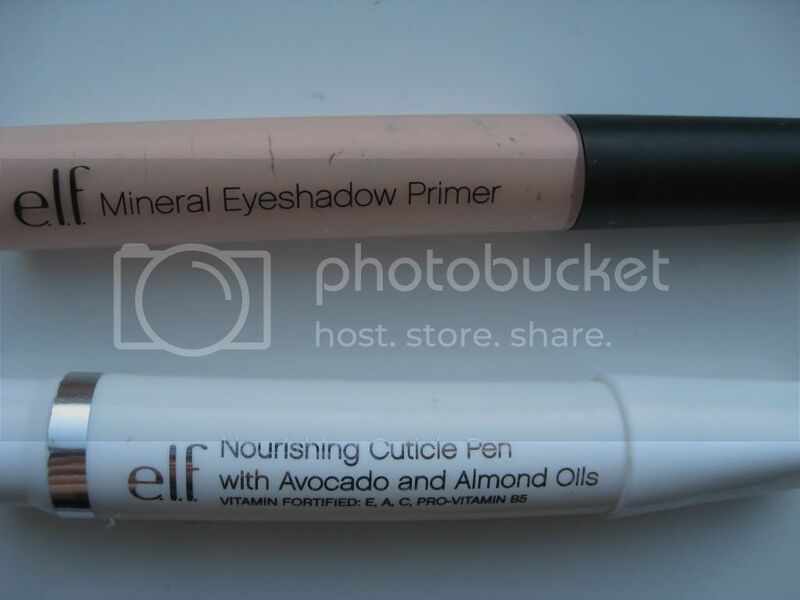 Top: Mineral Eyeshadow Primer (£3.00), Bottom: Cuticle Pen (£1.50). 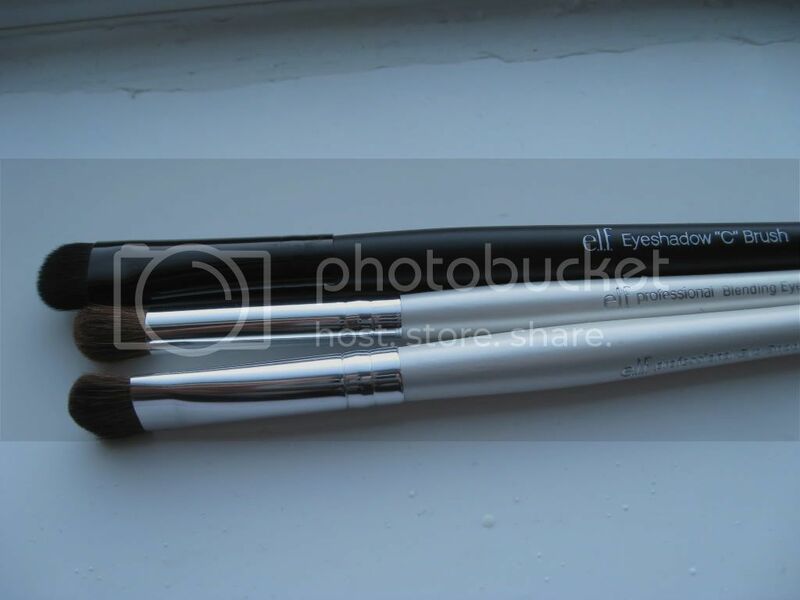 The primer's quite good, thick and creamy and doesn't make my eyeshadow creases. But I couldn't really see the effect of the cuticle pen. Maybe I didn't apply it regularly enough?? 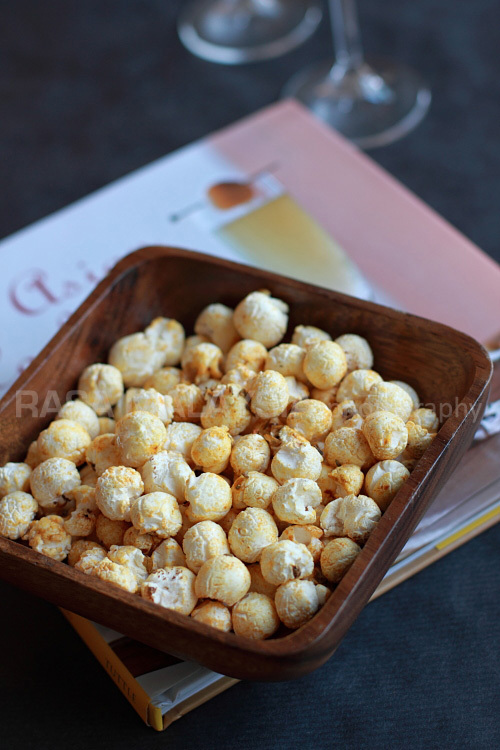 Anyhow, I will do a review on them. Yup, its each and everyone of them because I'll most probably changing my bloging stlye into something more about vanity and beauty. This is due to the fact that I love anything associated with fashion, make up, beauty and health care. As for my daily activities... Umm.... If I happen to snap pictures of them, I'll surely share it with you guys. 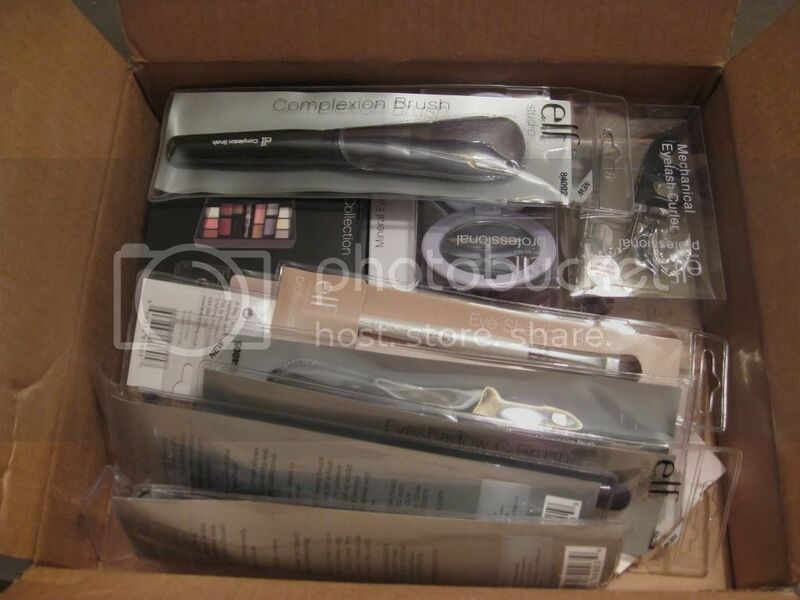 wow..so many nice goodies.i wish we have an on-line service here which deliver cosmetics to your doorstep! sis: wei, i use my hard earn money to buy de leh... but if you want, then before i go back to malaysia i'll buy some for you and pek yee, k?